Childcare Enhancement Project Coordinator Hired! New Office Manager at KNUJ! Cordes are New Owners of Ahrens Heating! The shortage of daycare providers in New Ulm and Brown County is a crisis that is affecting families and businesses across the county. Rebecca Triplett has been hired to begin to address this crisis, and the Willkommen Committee met with her to learn more about her and her new role as Childcare Enhancement Project Coordinator. 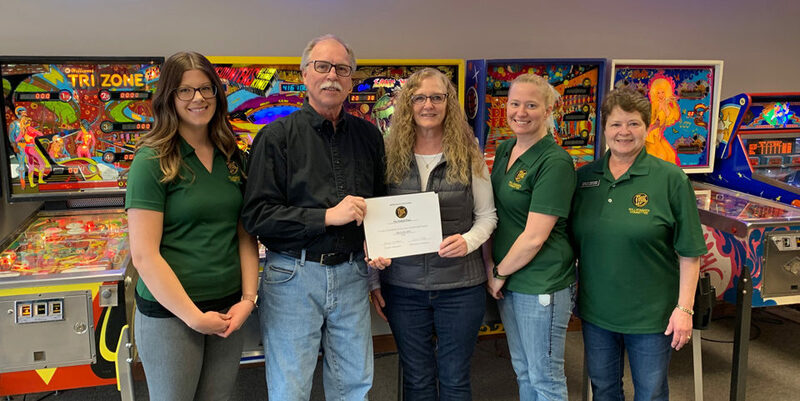 The project is a collaboration between the communities in Brown County and the United Way, and the one-year position is funded through a Southern Minnesota Initiative Foundation grant. Rebecca has been doing research by meeting with daycare providers, parents, and employers to learn more about the problem. She’s hoping to be able to offer assistance to people interested in starting a daycare by helping make the paperwork more manageable, hosting training closer to home, etc. The goal at the end of this year is to create 50 new daycare spots in the county, and to have a program in place that can be replicated in future years and in other counties. Rebecca grew up in Redwood Falls and currently lives in Springfield, where she is also employed as the children’s librarian at the Springfield Public Library. Best of luck! 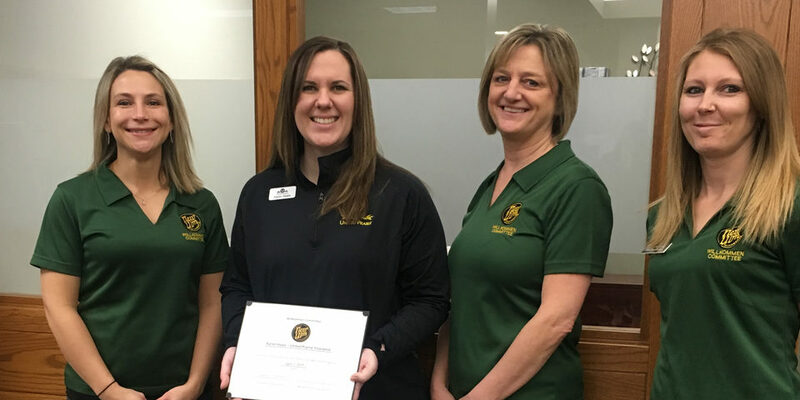 In this photo are: Jessica Janni, Bank Midwest; Rebecca Triplett, Childcare Enhancement Project Coordinator, United Way of Brown County; Kathy Van Roekel, NU-Telecom.